Cloud hosting is one of the newest types of hosting and there is so much buzz about how it can help eliminate downtime and accommodate sudden surges in web traffic. In cloud hosting, the resources necessary for keeping your website alive at all times are spread across several servers instead of just one, as found in traditional web hosting. So, how does cloud hosting affect your website? Simple. Since many servers are operating at the same time, you can afford to lose a server without any effect on your website. Picture a plane with 2 engines. One fails but the other can still carry the plane to safety. Now can you imagine a plane with several engines and how much effort it will take to crash such a plane? Another important benefit is that cloud hosting allows you to manage traffic surges easily, without facing any bandwidth issues, since another server can provide the additional resources in such a case. Awesome right? ⇒ Cloud hosting is far more reliable than shared or traditional hosting. It ensures that possible stress on one server does not affect another server’s performance. Thus keeping your site running at all times. ⇒ In a sense, cloud server gives more value for money. It only charges people for the resources they use. When you no longer need them you release them and you are no longer charged for them. You can expand or reduce servers in seconds to ensure that the server keeps up with demand without wasting money on unnecessary resources. ⇒ With cloud hosting, you don’t have to worry about the closest servers to the location of your visitors. The hosting servers are present across the globe and they ensure a fast delivery of your web content. ⇒ Unlike shared hosting, where you might have to share resources with other sites on a single server, cloud hosting comes provides facilities which protect your data. This is achieved through proper data isolation and storage segregation, encryptions, firewalls and backup recoveries. You can as well go to sleep when running on a cloud hosting plan. So, how do you decide the best cloud hosting providers? The above-listed reasons are why this form of hosting is the way to go in this new year. Unfortunately, these awesome features don’t come cheap and that’s why we have written this post to draw your attention to the best cheap cloud hosting providers globally. And we’ve gathered a lot of data (uptime and load time) and user reviews to decide the best available. We have paid much emphasis on COST, UPTIME, LOAD TIME, CUSTOMER SUPPORT and overall security, and have narrowed down these cloud hosting companies to ten. For a website in need of cloud hosting for a simple personal site or a product heavy eCommerce setup, then HostGator is the cloud host to go for. HostGator is always striving to provide the cheap WordPress hosting and it relatively provide reliable services with such low-cost plans. It is one of the top cloud hosting providers thanks to its shared packages which are so robust and make it stand out from the web hosting pack. Their cloud hosting service is also outstanding. Currently, three cloud hosting plans named as Hatchling, Baby and Business are available. These cloud hosting plans are flexible and match the web hosting plans. ⇒ Reseller Hosting – One of the most innovative features of HostGator is its reseller hosting. You can as well resell your redundant space to those who need them. ⇒ Speed – HostGator loads web pages very fast because of its automatic caching of static content. ⇒ Automatic Domain Renewal– HostGator automatically renews domains before they expire to prevent you from losing your website. This is a useful feature for the forgetful. ⇒ Multiple Packages – Whether you need a VPS, dedicated server or basic shared hosting, HostGator has all these plans available. ⇒ Affordable Pricing– the cost of web hosting doesn’t get any more affordable than using HostGator. Although there are other cheap cloud hosting providers out there, very few of them have the detailed features that HostGator provides. ⇒ Excellent Tech Support – HostGator is very famous for its excellent tech support. In case you experience problems with your site contact the support representatives at any time via the live chat or by calling the company’s toll-free number. The Support is available 24/7. ⇒ 45 Day Money Back Guarantee – Different people have different likes and experiences with cloud hosts and if you don’t like HostGator for whatever reason after subscribing, you can get a full refund within 45 days of signing up. ⇒ HostGator’s Hatchling Cloud ($10.95 per month) lets users host one domain with a dual-core CPU unit & 2 GB RAM. While The Baby Cloud ($11.95 per month) hosts unlimited domains with quad-core CPU & 4 GB RAM. ⇒ Security– your website is made secure with the secure socket layer (SSL) which is available on all plans. Overall, HostGator offers one of the best performance, reliability, and scalability in the cloud hosting business. There are no worries about data loss because Hostgator has 3 backup copies of your site mirrored in the cloud. Why not give Hostgator a try? If you want to start a business with a web presence, then GoDaddy is the perfect cloud host to provide a foundation for your business. It is one of the best cloud hosts for personal and business sites thanks to its reliable uptime, excellent customer service, windows and Linux based servers among other features. The company also says its cloud infrastructure is ready to serve even complex scaling needs, deploying as and when needed. ⇒ Uptime and Downtime – It offers 99.9 percent guaranteed uptime. In case you are on any subscription and GoDaddy fails to maintain the uptime stated for that month, you can claim a 5 percent credit off your monthly subscription cost. ⇒ Security – GoDaddy offers its users multiple security features such as SSL certificates, SiteLock, code signing certificate, SiteLock & premium DNS enabled. ⇒ Usability – GoDaddy has a good control panel which makes website configuration and customization very easy. Customers will use the normal log-in credentials to access a cPanel that is permanently integrated with the main GoDaddy site. Their cloud servers can be set within a minute and you will have full influence over your servers. ⇒ Storage – The RAM ranges from 512MB -12 GB for the top plan. It works with Linux and Windows OS. ⇒ Customer support – There is 24/7 customer support throughout the year and Customers can contact them via phone, email, or web chat. GoDaddy cloud hosting system was built with stability, security, and performance at the forefront. Unlike other web-servers which constantly change IP addresses, GoDaddy issues its users with one permanent IP address to carry our their business. GoDaddy is, indeed, one of the top cloud hosting service providers. It provides value to customers; It’s affordable and its most expensive plan costs only $80 monthly. With five plans to choose from, GoDaddy covers a vast array of needs. And depending upon which plan you choose, you can get between 20 and 80 GB bandwidth. Bluehost can be comfortably placed as one of the best cloud hosting providers. They are one of the oldest and biggest in the business. With Bluehost, you never have to worry about your website being slow or offline, even when there is a lot of traffic. Thier cloud hosting plan allows you to utilize multiple cloud servers, thus allowing your website to automatically switch to a different server in case of a hardware failure or high traffic. Their fail-over technology automatically keeps your site running by assigning a server to serve your visitors and ensuring that the other servers work to rebuild your site. These imply that there are never delays or down times with this host even when your site experiences traffic spikes. Moreover, they pride themselves in their quality 24/7 customer support, reliable hosting infrastructure, and one-click support for WordPress based sites. ⇒ Free Domain – new users are guaranteed a 1-year free domain name after signing up. ⇒ E-Commerce Support for Business Owners – There are different types of Online business, each having different hosting requirements. Fortunately, Bluehost knows this and offers supports for eCommerce business with an in-house shopping cart software for easy development of your online shop. ⇒ It’s Affordable – It is one of the best cloud hosting provider particularly for those that are just starting out. You can get the basic plan at a monthly rate of $ 12.49 and with the help of Bluehost coupon, you can get it as low as $3.49. ⇒ Simple Controls – Bluehost’s user interface is very intuitive and simplified such that even those who are new to cPanel find it easy to manage their blogs and websites. ⇒ Enhanced Speed and Security – Bluehost is built on a powerful VPS server that offers enhanced speeds and security to users. The server also possesses enhanced security features like SiteLock which protects your content from online marauders. Another giant in the web hosting industry. Dreamhost is said to have far more than 1.5 million sites hosted on its servers. It came into existence in 2006, and it is one of the time tested and reliable cloud hosting service provider with awesome features to satisfy your personal & business related hosting needs. Once your site is up and running with DreamHost, you’ll find that this cheap cloud hosting company offers pretty good value. One great feature of Dreamhost is that you can run your cloud server for as long as you need it and only get charged a maximum of 600 hours in any given month. ⇒ Exceptional uptime & speedy performance – Users are guaranteed a 99.6 percent uptime on Dreamhost. This is in addition to a 12.5 Mbps speed which translates into a page speed that is faster than 85% of industry average. ⇒ Speedy web hosting– Their servers are powered by SSDs and therefore they are the best suited for websites with high traffic. ⇒ Great Customer support – A good uptime and speedy loading does not mean anything if there is no great customer support to back it up. DreamHost excels in this regard. When faced with any challenge, you are guaranteed a live chat connection in less than 5 minutes with detailed responses from professionals. The support is also available 24/7. ⇒ Moneyback Guarantee – DreamHost has the longest money back period in the industry i.e. 97 days. And in the case of an hour of interrupted service, you will be credited a free full day of service. They are the best. ⇒ Unlimited Bandwidth – With so many cloud hosting companies also offering unlimited bandwidth, none comes close to DreamHost. ⇒ DreamObjects – The cloud storage utility is called DreamObjects. Use it for web and application file serving, website backup, disaster recovery, and backup of videos, photos, and files. ⇒ CDN – They also offer Content Delivery Network services such that whenever a visitor accesses your website content, the server closest to them will deliver. The whole essence is to boost site speed and decrease download time. ⇒ Options – About 5 storage options are available with 5 different pricing plans. Moreover, Dreamhost offers support for BSD, Linux and Windows OS. If you are looking for a proven provider of Infrastructure as a Service (Iaas), then you have to go with the cloud venerable AWS. AWS has been in the cloud business from 2006 which means it’s one of the longest and the most trusted cloud hosting service providers. AWS has a nearly unmatched breadth of services and it remains larger than its major competitors e.g. Google. It has four main features: Compute, Storage and Content Delivery, Networking, and Databases. At a higher level, you can control all these features with an extensive admin dashboard via a secure web client. AWS is highly customizable and has a lot of APIs and third party programs allowance. With 12 major data centers around the globe, it is also the ideal cloud hosting provider for multinational companies. The cost may work out to be slightly more than the competition. However, ease-of-use, good performance, and tight security features make this one worth our consideration. This is another hosting provider that offers cloud hosting services and guarantees a 99.9% uptime. A2 Hosting has a Quick Installer feature that makes it easy to quickly install any major CMS like WordPress and Joomla. They also boast of a user-friendly dashboard that makes it easy to set up your cloud hosting parameters like RAM, cores, CPE speed, space and operating system template. It gets better, they have a friendly support team that respond to the plight of customers 24/7. Customers have constantly voted their customer service as one of the best in the industry. They respond to queries via Live Chat, Phone and support ticket. They also have an up to date knowledge filled with different articles that will make your hosting a seamless experience. Unfortunately, their hosting plans is a little on the high when compared to the competition. The $15 starter plan offers 512 MB DDR3 RAM, unlimited bandwidth, 10GB storage, 2core CPU with a speed of 600 MHz and 1 dedicated IP address. Their Cloud hosting is fully customized and you have the control over the selection of Linux operating system. The Cloud Disaster Recovery feature is a great option at A2 Hosting offers. It is more or less a backup and recovery utility for your files. All of these, and the ability to escape any form of downtime due to the multiple servers hat A2 hosting’s cloud technology offers is why this company is a great option for you. Digital Ocean is a Cloud computing company designed for majorly for developers. They have a host of features that suits most developers and makes it easy to deploy locally made apps on the global front. They make use of SSD cloud servers known as Droplets to manage your resources. Developers can use a droplet as a snapshot to quickly and easily reconfigure a new server. Thanks to this hosting technology, you can manage your Droplets and take any number of actions or requests—including creating multiple Droplets, resizing, rebooting, enabling backups, and more—with curl commands or the official API wrappers. Includes OAuth support. Despite this brilliant features, hosting is cheap at Digital Ocean. They offer 10 pricing plans, unlimited bandwidth, and up to 640 GB RAM. For $5/month, the starter plan offers 20GB SSD storage, 1TB data transfer, 512MB memory and 1 Core. Provided you overgrow your storage space; you can purchase more storage at just $0.10/GB. There are more expensive hosting options. The choice is up to you to decide the cloud hosting plan that will meet your immediate need. You can start small, then upgrade when the need arises. The servers are available with 99.99% uptime with the number of data centers. If they fail in any month, they will issue the credit. Digital Ocean has data centers in San Francisco, Toronto, New York City, London, Amsterdam, Frankfurt, Bangalore and Singapore. You need not worry about downtime. If you have more questions, their 24/7/365 customer service center is available to allay your fears and also guide you on the best hosting plan for your business. The company is one of the best in this category. Not only the User experience, services and pricing in Cloudways is awesome, but their Knowledge Base and Support staff are over the top. Cloudways is a managed cloud hosting provider for small businesses. The whole goal of cloudways is to start small and scale up as the need arises. So, with $7 every month, you have got yourself a hosting platform, thanks to Cloud ways. This $7 package offers you 512MB RAM, 1 core CPU, 20GB web space and 1TB bandwidth. They will also migrate your site for you without any cost. Moreover, your server on Cloudways is made for hosting PHP-based web apps. Plus, you get 10+ one-click deployment packages installers to host your website and web apps. One of the coolest features on Cloudways is their staging environment. You do not have to worry about your testing environment ever again, thanks to their built-in staging mechanism. You can simply test your installations before finally going live. They also have a user friendly control panel that helps you optimize your hosted servers and applications by providing real-time performance insights to your subscribed channels. As expected, Cloudways has 25+ major Datacenter locations around the globe, thus ensuring that you never have to worry about latency again. Other notable features include the 1-Click Cloning app that makes it easy to create duplicate copies of your apps and servers. There is also the 1-Click Backup & Restore option where you can set automated hourly to weekly backups instances at an offsite location and restore latest backups with 1-click at the console. Overall, the service is fine. It saves you time on setting up everything from scratch. Pricing is reasonable especially for lower tiers. And they deliver on their promises. This is one of the best cheap cloud hosting providers. They are highly reliable and offer flexible hosting plans. Host1plus prices are fair. You always get what you pay for. The first and basic plan “LIN1” provides 1-core CPU, 20GB storage with 512 MB RAM which is great to handle the initial level projects. Moreover, all the plans include 1-free backup, 1-free IPv4, Intel Xeon processors, Decent API and many other features. A wide variety of plans can meet your requirements easily and at any time you can also increase or decrease the cap on resources. Their support is always there for you at no extra costs! If there are technical issues, they communicate in time! If major failure happens, they always compensated for damages done especially if it is obviously theirs or their partners fault. Their up-time is approx. 98% and this is awesome! The truth is that most of the 99% up-time guarantees out there never really offer that much uptime. The average is around around 95 – 96% over a 1-year period. But Host1plus is simply different. In addition, Host1plus offer both Linux and Windows based servers. They offer CentOS, Debian, Fedora, and Ubuntu. 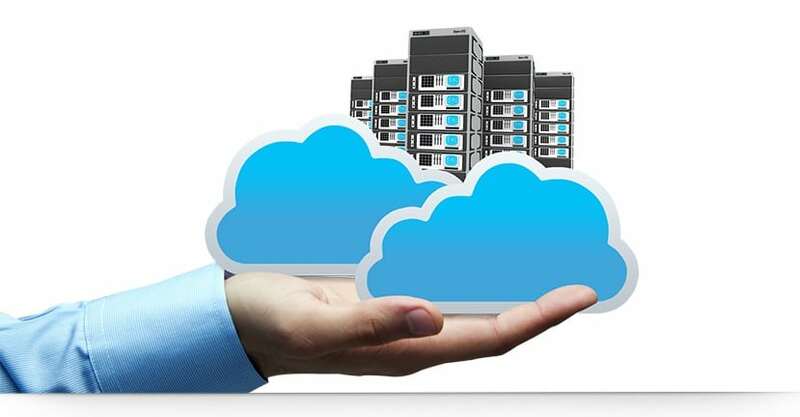 Scalability is very important when it comes to cloud hosting and they have got you covered in this regard. You are no longer bound by the physical size of your server, quickly scale your virtual machine at your Client Area whenever the need arises. You can as well schedule automatic backups daily, weekly or monthly. You can also make manual backups when you need. Host1Plus has multiple premium data centers ensure high connectivity and better reach. They have data centers in Frankfurt, Germany; Johannesburg, South Africa; Chicago, USA and Los Angeles, USA. Host1Plus guarantees immaculate connectivity and ultra-fast response times, offers a wide range of security equipment and high-performance infrastructure, and also allows for a reliable server environment, guarantee stability and uninterruptible server performance. InterServer is one of the cheap cloud hosting providers with a track record of reliability and excellent customer service. They have been providing web hosting services for the past 18 years and have evolved its product offering to include Shared Hosting, Cloud Hosting, Quick Servers, and Dedicated Servers. Their cloud hosting plan starts from $6/mo. and offers 1GB RAM, 25GB web space and 1000GB (1TB) bandwidth. They also offer other hosting plans especially for those who tend to run resource intensive apps on their servers. They have multiple data centers to ensure that your site keeps running even during periods of traffic surges. Interserver guarantees hardware, network, and infrastructure uptime of 99.9%. If they ever fall short, you get money back. That’s the Interserver 10/10 Uptime Guarantee. Their servers come with the latest versions of PHP, MySQL, Perl, Python, Ruby, and more come pre-installed. But you can customize your server with any Linux-based application, server software, or OS component. Easily add and manage multiple virtual servers within the InterServer control panel. Need to add more RAM or storage? No problem! Their web-based control panel is where you can effortlessly scale your virtual server up or down. InterServer uses only the best routing and switching equipment from Cisco, Extreme Networks and Riverstone for maximum throughput. They also utilize intelligent BGPv4 routing protocol to provide fast, fail-safe routing. They route traffic to the fastest and closest backbone provider to achieve the best speed with the lowest latency. You can trust that you will receive only the best quality service from InterServer. All in all, InterServer Hosting is affordable, offers great features and has customer service/technical support that actually seem to care about what you need. After using InterServer Hosting, it will be difficult switching to any other hosting company. It is simply undeniable that cloud hosting is attractive for many reasons including the fact that it is cost efficient, where you only pay for the services that you need. The security guarantees and the ability to backup and restore is another reason why cloud hosting is the way to go. It is also true that many Cloud hosting providers are out to pocket your money. Unfortunately, only few of them keep to their promise of quality service delivery. Unlike the bulk of other cloud hosting providers, the ones provided in this list have excellent reputations and hardly disappoint their customers. You can confidently opt for a trial as many of these cloud hosting companies offer trial periods and money back guarantees. We do hope that you find the best cloud hosting company that will meet your hosting needs at reasonable prices. Best of luck.